In this chapter of Revelation, a special group from the elect are identified and honored by the Lord: the 144,000 first mentioned in the seventh chapter of the book. They are the Firstfruits of Yom HaBikkurim, comparable to the first crops gathered in the harvests of ancient, agricultural Israel; only, these are believers gathered to God from the Gospel harvest. 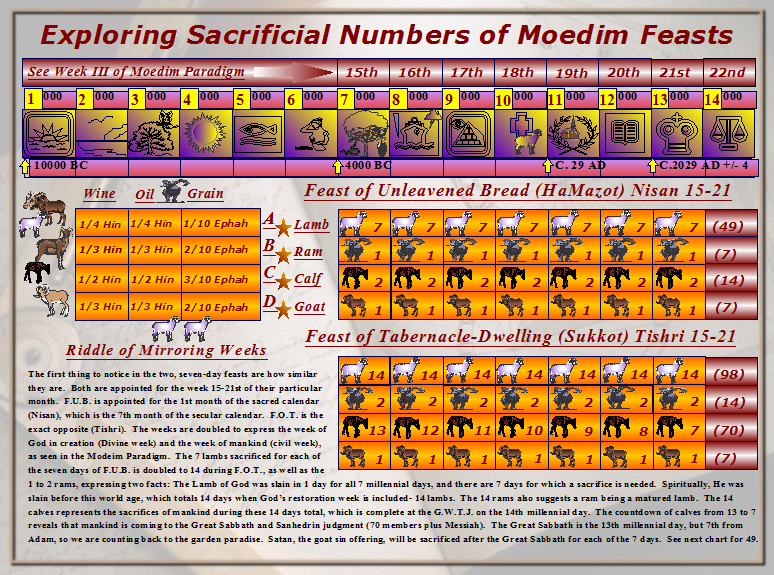 As most readers already know, the Old Testament of appointed holy days and feasts (the Torah’s moedim) was primarily based upon the Hebraic monotheism of YHVH (God) and His role in their (1) commemorating the exodus from Egypt; (2) agricultural seasons; (3) animal sacrifices; (4) laws for justice and life wisdom; and (5) historical stories since the Garden of Eden. 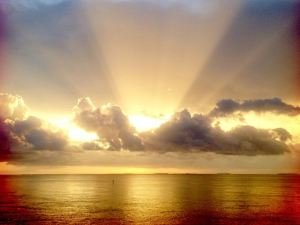 What few readers become aware of- often after years of study and developing their spiritual insight- is that prophetic symbolism for a panoramic Divine plan, for national and world redemption, is woven throughout all these features of Hebrew Scriptures. Further, the prophets and scribes of Israel were inspired by the Holy Spirit to write all Scriptures in the light of the Messiah’s two arrivals. 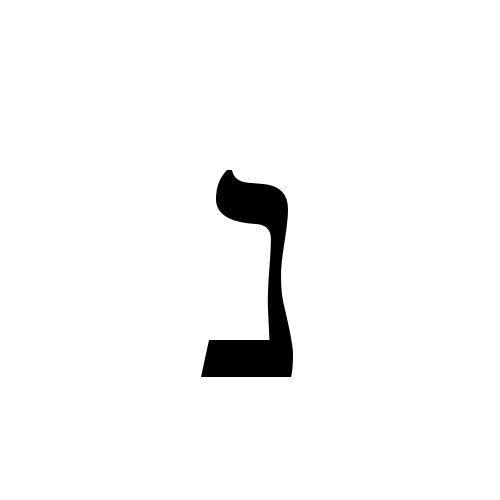 In the big picture of redemption, Messiah is the Reshit Katzir (i.e., Beginning of Harvest), also known by the Yom Hannafat HaOmer. He fulfills the foreshadowing feast day as the first of the world harvest waved before the people and God at the cross (a.k.a. Omer Wave Offering). Christ was the Beginning of the Firstfruits of God in bringing in a harvest of righteous souls- people redeemed for everlasting life. 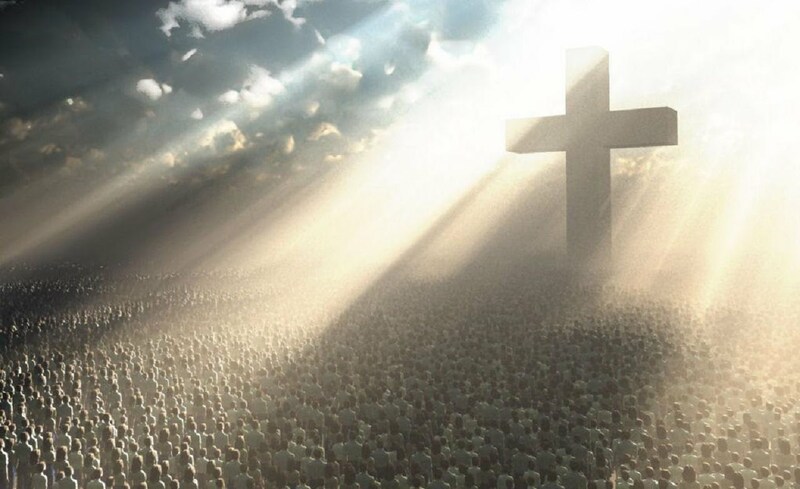 The specified 144,000- first of the sealed harvest during the sixth year of the Apocalypse- are particularly connected to Yeshua Messiah’s ministry and resurrection, foreshadowed by the Feast of Firstfruits of God. They signify prophetic times and are composed of first century Christianity (both Jews and some of the “lost sheep” of Israel). These are the ones who first brought the good news of God’s spiritual harvest from Israel and began spreading it to the world. Thus, the whole world became a field to harvest the redeemed and righteous. This chapter essentially backtracks to identify the Firstfruits of the Gospel before Revelation clarifies the Ingathered harvest of God from among all nations. 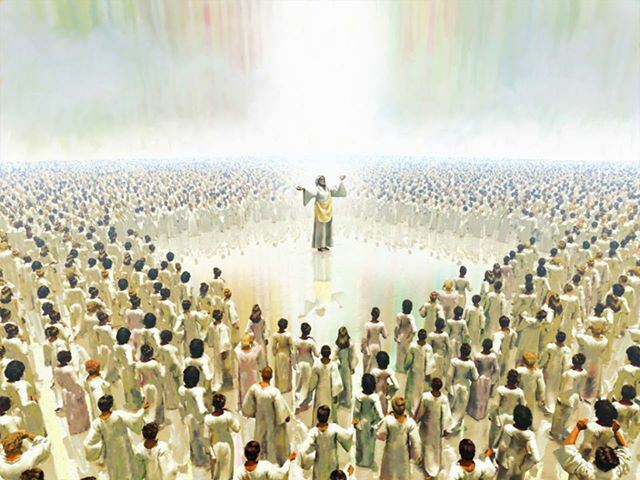 Here we find the 144,000 born again for the coming messianic Kingdom of Heaven on Earth (i.e., the millennium of Christ in common Christian terminology). Having the initial seal of the Spirit, they will be sealed for protection during the sixth year/seal of the Apocalypse for the Day of YHVH (Great Sabbath). The fuller meaning of being born again is no longer taught in popular church doctrines and eschatology, and it has not been since Hellenized Catholicism forbade it as Jewish mysticism. Nonetheless, Scripture should be our guide for establishing our biblical worldview and beliefs, not popular ideas nor what the so-called “popes” (i.e., religious papas) and their cardinals believe. Scriptures make it quite clear that that those who lived in ancient times must be born again by Spirit and water (breaking of water, physical birth) to enter the coming Kingdom- not the spiritual Kingdom but the Kingdom that Christ explained in parables as something hidden from mankind in the earth, in this world. Scriptures reveal that the Firstfruits are both alive on Earth during the Apocalypse and that they come from the early harvest of believers in God’s works through Christ. For many Christians this is offensive: that the Firstfruits would be born again for the coming Kingdom of Heaven; yet some of the same people who are so easily offended in this are not offended when they suppose that our God will resurrect dead bodies from millennia ago, supernaturally from the earth- bodies that were eaten by lions, burned in fires, fertilized plants, decomposed in oceans, and scattered like dust to the winds of heaven! How ridiculous is it that the life matrix of womanhood, designed by our God, is considered an offensive means of entrance for spirits into this world- that many are repulsed that the saints might be glorified with new bodies in this manner? If being born of women is suboptimal for holiness, Christ would not have been born through the common matrix of maternity, born by a subdebutante. The Firstfruits are born again, and they will be unveiled at the coming Kingdom, both to themselves and others. The Bible clearly tells us that the only believers to be miraculously resurrected in their flesh, and glorified at Christ’s coming, will be the slaughtered and beheaded martyrs who will refuse the Mark of the Beast, at the last trumpet and the revelation of Messiah (see Rev. 20:4-6). This is not difficult to comprehend: that the rest of those who died in Christ, including the patriarchs, matriarchs, and others of the ancient faith, will be alive via the common means and reign with Him in the coming Kingdom. They are made new creatures in Christ, and their past sins are forgotten; they live as He lives, only not all by the miraculous means of physical resurrection. Some people call this “reincarnation,” but I write “born again,” because I did not learn this truth from some eastern religion nor some mystic guru. I came to know it despite my Baptist family tradition, facing the unwavering facts of what Scriptures reveal. Indeed, the New Covenant Gospel of Life is incomprehensible without readers heeding the truth of what being born again fully, originally meant. Refusing this is one of the reasons that passages are so confused and have never been universally agreed upon. The world has over forty thousand denominations and messianic sects of Christianity since Roman Catholicism lost its iron grip of enforcing their errant scholarly interpretations on Western nations, and the reason this number continues to grow is because many vital truths must be clarified and restored. One of the them is what “born again” means. Every religious spokesperson claims that his or her denomination/sect has the orthodox, original scriptural teachings and alludes to possession of all truths, whereby those who disagree are heretics, blasphemers, pagans, or whatever term they find most condemning, but the truth is that none of them are teaching the full truths of the Gospel, and they cannot because they simply have not discerned the mysteries. Having read the Gospels and letters over and over again for over two decades, I know that I could easily write an entire book on being born again and how this truth alone overcomes most of the supposed contradictions and anomalies found in New Covenant passages, such as the Lord’s promise that those who lay down their lives- for preaching the Gospel- receive sevenfold in children and houses and such in this age, and eternal life in the age to come. Many scholars and Bible enthusiasts have studied the Scriptures with as much zeal and for even more years, and they reach the opposite conclusion; however, they are quickly exposed for holding confused doctrines when faced with the clarity of Scriptures, since they don’t have all their ducks in a row, so-to-speak. People inherently see this, no matter how much they deny it and boast of their orthodoxy, and it leads to more divisions in the Body of Christ rather than the unity that the Lord prayed for us to accomplish. Before moving on, we should consider that the beginning of this 14th chapter, in some texts, reads (concerning the 144,000) that John looked and saw his “own people,” which means early Christian Jews whom he could have recognized from the 1st century world- a very different world in which he lived. This reading correlates with the rest of the Scriptures that confirm that the early assemblies were the “firstfruits” of the Lord. John would have seen people like Peter and Paul (Kefa and Saul), verifying that the early progenitors of messianic assemblies were indeed seen as born again for the coming Kingdom of Heaven. Apostle John, knowing that the 1st century Ekklesia called themselves “firstfruits” (see 1 Cor. 16:15) of the faith, was clearly declaring that those who died in Christ would again live in the world and be sealed by the Holy Spirit during the Apocalypse. Christ was the absolute Firstfruit of “those who slept” (1 Cor. 15:20, meaning death), but the early Ekklesia that possessed the “firstfruits of the Spirit” also waited for new physical life in the “redemption of our body.” Again, there are several clues that let us know that they are alive on Earth during the Apocalypse; for one thing, they are sealed among the persecuted who come out of the Great Tribulations, and for another, they are seen on Mount Zion during the Apocalypse rather than at the last trumpet. Not only are they sealed on Earth, but the current chapter we are considering clearly concerns the wrath of God being poured out on the unsealed during the Apocalypse, as we shall see. 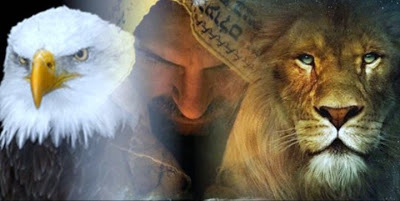 Thus, Paul counted himself among the “We who are alive and remain” as opposed to “those who sleep” (the martyred dead who will be raised at the last trumpet and come with Christ), for Paul was among the Firstfruits, and he will help teach the true Gospel of the Kingdom during the Apocalypse (cf. 1 Thess. 4:15; Isa. 30:20-21). After Passover (Pesach) on Nisan 14th, the Torah calls for a seven-day feast called the “Feast of Unleavened Bread” (Hag HaMatzot) from the 15th to the 21st of the month. 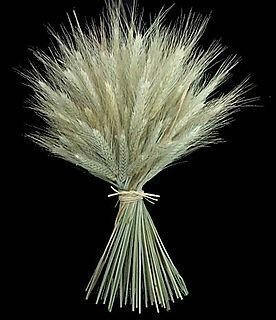 During this week, the Israelites would present the firstfruits of the barley harvest as a wave offering before the Lord. After the first weekly Sabbath in the Feast of Unleavened Bread, they would present the Wave Offering then count seven weeks (49 days) before a special “Feast of Weeks” (Shavuot, Pentecost) on the 50th day. At that time they would celebrate the bringing in all of the harvest firstfruits. What all this means in the panoramic picture is that after the Lamb of God was sacrificed on Passover, He was presented to God in fulfillment of the first, waved offering. On the fiftieth day, as other Jews were celebrating the Feast of Weeks, the Jewish apostles and followers of Yeshua received gifts of the Holy Spirit (Ruach HaKodesh). Thus, just as the Israelites in the wilderness were the harvest of God and received the Torah (the Law) on this special day, believers in Messiah Yeshua became God’s firstfruits of the Spirit as chosen people of the Lord. 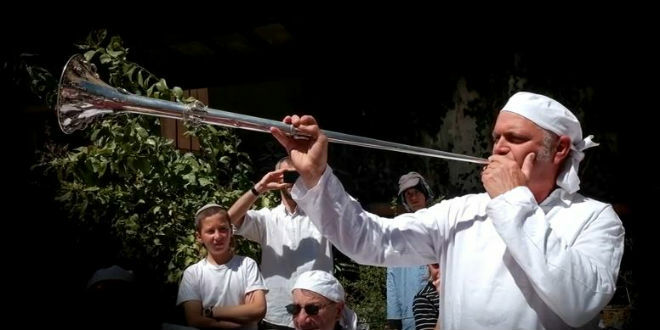 There were two Hebrew harvesting times in the ancient culture of Israel: the beginning and the end of the harvest season (the first and the last), with the former and the latter rains, and these illustrate both the 1st century harvest of the believers and the Ingathered harvest from all nations at the Messiah’s coming. The Firstfruits are directly identified with Christ and Israel’s firstfruits celebration. But the whole point is that God will gather all into one family at the end of the age for the coming Kingdom, in His own mysterious ways. 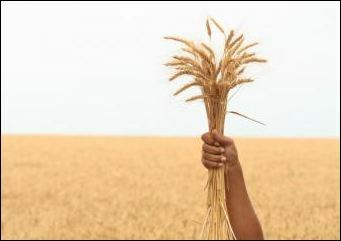 The Feast of Firstfruits of the ancient Hebrew harvest was when a wave offering of barley was witnessed by the people and waved in glory before God. It was followed by a fiftieth day called Shavuot, known as Pentecost among Greek-speaking Christians. This shows how the early Firstfruits were also made a spectacle to the world, yet glorified as witnesses to the spiritual reaping of God. As Christians, we often think of the harvest as something that will only come at the end of the age, but Christ instructed his disciples to look upon the fields of Jewish believers who were already spiritually whitened for Divine harvest. So clearly there are two distinct times of harvest, as foreshadowed in the nation’s agricultural cycle. 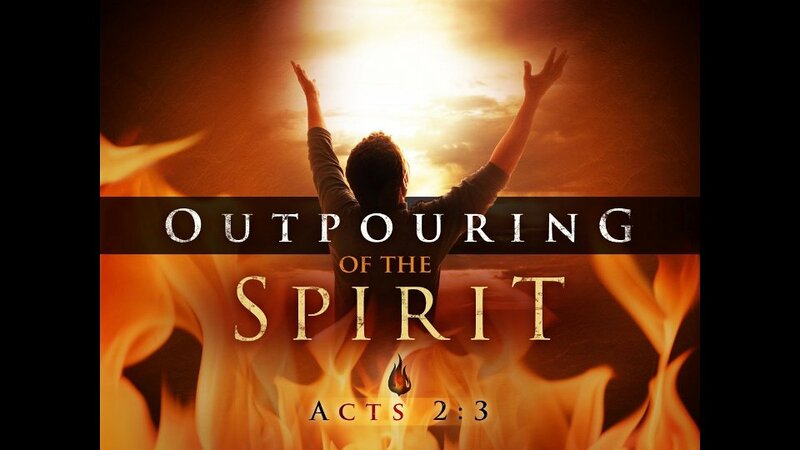 And clearly there are two outpourings of the Holy Spirit, as the Former and Latter Rain, to witnesses to the people concerning Christ (see Hos. 6). The Feast of Firstfruits includes biblical, foreshadowing events that were mirrored at the resurrection of Messiah and the beginning of the Gospel harvest. It is traditionally believed that during this time of year the Hebrews crossed the divided waters of the Reed Sea, leaving behind the taskmasters of Egypt (see Ex. 14:26-30). This is also believed to be the day when the Ark of Noah rested on Mount Ararat, out of the waters of the flood (see Gen. 8:4). Then, of course, the Firstfruits of the Promised Land were kept during the Pesach season when Joshua led the children of Israel into the kingdom, after dividing the waters of the Jordan (see Josh. 5:10-12). These things were done as signs of the Lord later dividing the waters of the Word, leaving behind worldly things for that which is renewed, and bringing in the new harvest of souls. This being understood, there is a reason why the harvest is presented for the seven-year build-up of Zion, sealed during the sixth year/seal and protected for the seventh year/seal. After the gap in prophetic time, the Age of the Gentiles, the harvest will fulfill a hidden generation in Christ that enters the promises of the Sabbath Kingdom. All these things concern new beginnings with God- separated from the world to live in His sight. And with that comprehended, the greatest of these foreshadowing concerns the Sabbath of God in the garden, when He brought in Adam and Eve to live in His sight. 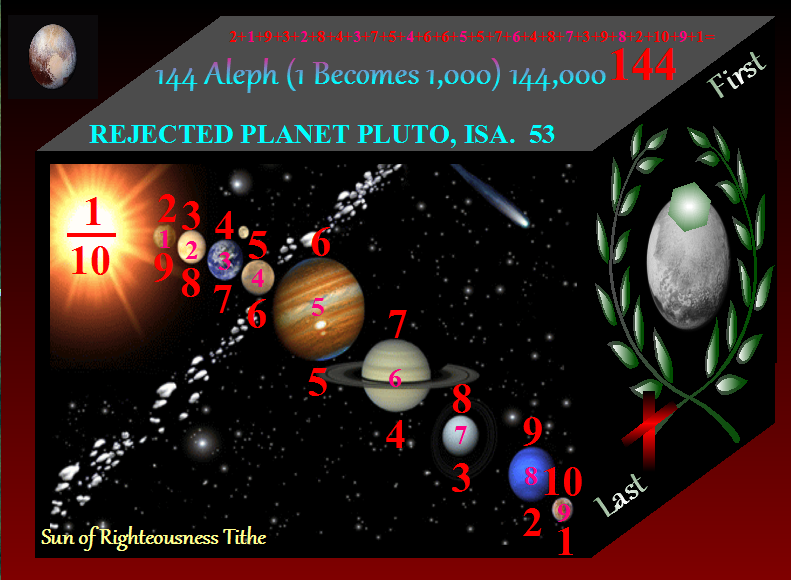 Moreover, the 144,000 will be alive and sealed (protected from death) on Earth for the coming Kingdom of Heaven, which according to Scriptures is like a renewal of the Garden of Eden (Isa. 51:3). Their number of 144,000 shows a particular completion of a period of time before entering the coming Sabbath paradise with God. In the Genesis creation account, God worked for six days forming a garden and then placed Adam and Eve in it as He rested on the 7th day. In mortal days His six workdays would have taken 144 hours (24 x 6). However, what is hidden in the creation account is that one thousand years are but a day to God, and the creation was a recreation period and restoration (see article on New Genesis Theory). 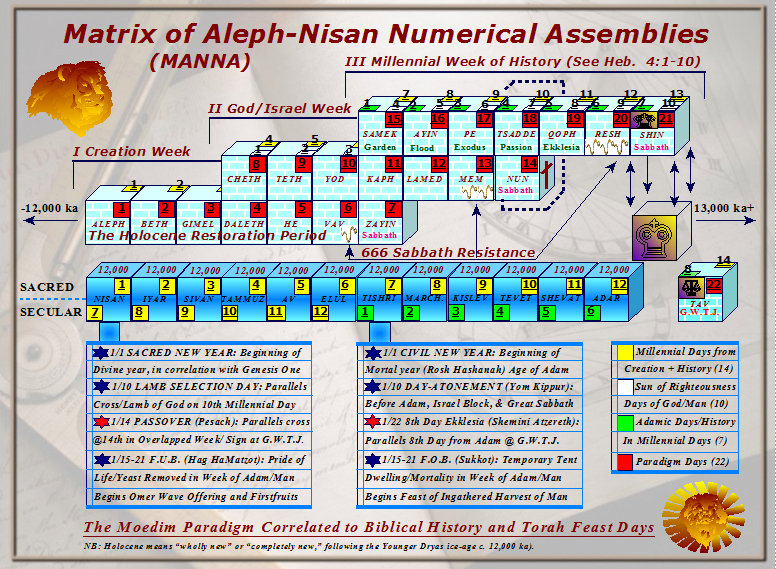 Thus, when we utilize the biblical Key of Knowledge (or the Aleph Key, 1 becomes 1,000) and discern that the restoration period after the last glacial spike, beginning the Holocene, took six thousand years, we can see that it foreshadowed the end of our humankind’s workweek of six millennial days. If we use the key with 144 hours (144 x 1,000 or 24 x 6,000) we come to 144,000. Hence, the 144,000 Israelites who will enter the Great Sabbath are a sign of when the works of God are complete for bringing His people- His harvest of souls- into the messianic millennial of paradise. And the 144,000 are shown with 12,000 from each tribe because 12,000 is the total amount of literal years when we add the six millennial days of the recreation in Genesis with the six mirroring millennial workdays of mankind until the Kingdom comes. All the numbers are purposeful and prophetic, and their fulfillments are not dependent upon religious discernment or theologians agreeing with them. As for the identity of the 144,000 in today’s world, trying to identify them would likely be an act of religious futility, simply because they will be unveiled to the world with the Ingathered as the Bride of the Lord during the sixth seal of the Apocalypse. The Unveiling of Jesus Christ is also a book about an unveiling of the Bride citizenry who will be joined with the Great King. There are several Christian religious organizations, began mostly in recent centuries, that claim they are the 144,000 of Revelation, such as the zealous Jehovah’s Witnesses, but in my estimation they warrant no credibility or favor in fulfilling the position, simply because they teach too many doctrinal errors about the Kingdom and Christ’s coming. The apostles wrote about the “mystery of the Ekklesia,” which literally means the mystery of the called-out ones who await the coming millennial Kingdom at Jerusalem- those who separate from the false Bride called “Babylon.” It concerns the mystery of the hidden generation, as written about in previous articles (see Divine Butterflies Take Flight). Some are Israelites who have lost their identity, while others are from Jews today, even Israelites called-out from many Christian denominations. With God all things shall be possible. As Bible-believers we are called to reason, to gain better discernment of God’s mysteries, and reasoning leads us to the conclusion that the 144,000 Firstfruits were initially set apart from the Ingathered harvest of all nations, as seen in Chapter Seven of Revelation. 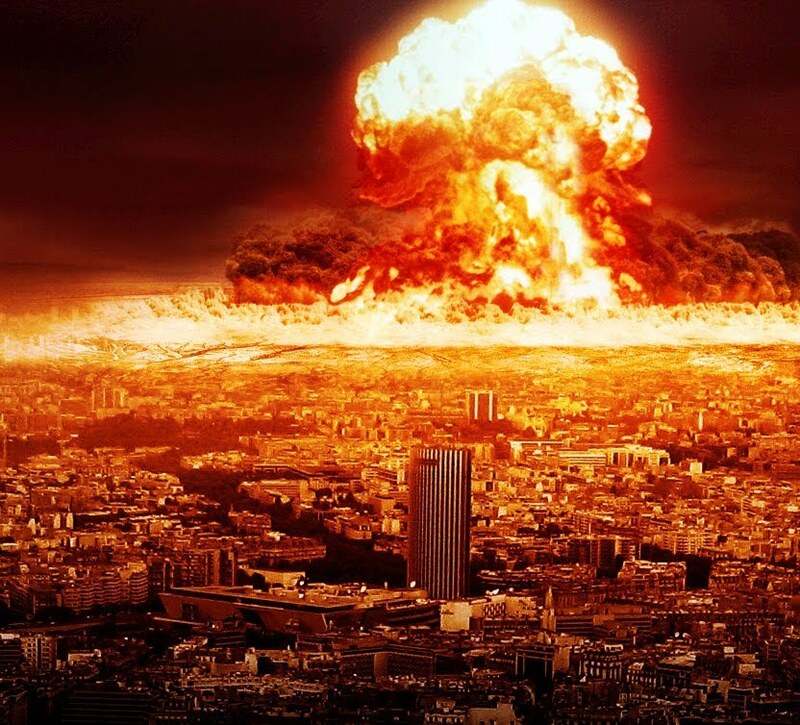 Some claim that they are Jews who will be awakened to truths of Yeshua as their Moshiach and, thus, they will spread the Gospel to the world during the coming Apocalypse. In my estimation, however, they will be Israelites of Judah and lost tribes of Israel, be it they know who they are or not. God knows. As previously mentioned, the hidden generation is called “Christ” by Matthew in his clever mystery of Christ’s genealogy- the fruitful of His Body that we are gathered into. By expecting a 42nd generation after only 41 generations with Yeshua, those who know Scripture are compelled to search for the meaning of the hidden or lost generation; then they find that they are the Firstfruits who are alive for the coming of Christ, teaching the glorious truths of God’s great mysteries. This is the hidden generation of Messiah with Jesus (41st) being the Head of the Body (42nd), and the Body being complete down to the feet at His coming. All of Christianity is in the gap, and the elect Israelites are brought into the gap for completion of this generation called “Christ”- a generation completed during the seven-year build-up of Zion. Thus, the early Firstfruits of the Gospel were also given the name of Christ and were promised to be part of a generation that would not pass away before seeing all these things come to pass. They are the 42nd generation which began as the spiritual offspring/seed of the Lord, called by the name of the Lord. They will teach the parables, similitudes, types, messianic foreshadowing, riddles, mysteries, and all the glorious works of God to the ingathered Body, bringing the truths of the coming Kingdom of Heaven to the world. 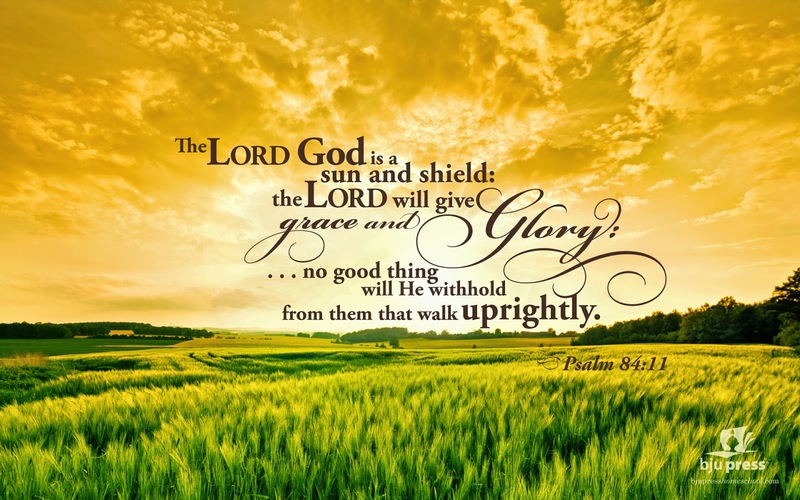 These are His “words” which would not pass away, being in the image of the Word of God. They will declare the signs of the times and His generation. This is the “seed” which will be known among the nations when the rest of the Body is brought in. They complete the “chosen generation, royal priesthood, and holy nation” that Peter said would show the praises of God (see 1 Pet. 2:9). They are the foundation of the Word from which the rest of the House is built-up: the holy children of God, of whom all of creation awaits their revelation (see Rom. 8:16-19). They will reveal the parables and hidden saying of God to the world (cf. Ps. 78:1-7; Isa. 8:16-18). 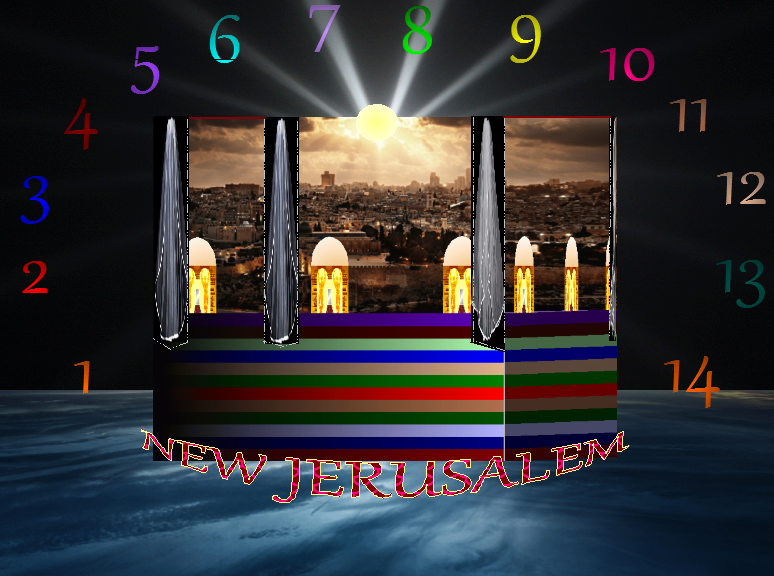 They begin the build-up of Zion in God’s time to favor Jerusalem (see Ps. 102:11-22). The Omer Wave Offering, the first of the firstfruits, shares a special relationship with all the harvested crops that are brought in, even the Ingathered harvest at the end of the agricultural season, for it must begin all that will follow. Second, it is special because it sets the time at the beginning for the completion time of bringing in the firstfruits (see Lev. 23:15-16). Seven weeks must be counted from the Wave Sheaf Offering, and the fiftieth day is like a mini-Jubilee of redemption (i.e., fiftieth year in which all the children of Israel were set free from all their debts for a return to family and tribal inheritance). I cannot reveal what their song is, but to them I say that you will know that you are of the 144,000 by knowing the song and its meaning; yet keep this to yourself when you understand it, lest you potentially lose your place. It is a prophetic song that they alone will open with the Key of Knowledge. They can sing it aloud and nobody can learn the greater meaning, at least not until the appointed time. Just look how the Lord has hidden mysteries in His Word for millenniums, although the words were before the eyes of the faithful. But know that the main theme concerning their receiving this “new song” is that it fulfills the foreshadowing story of Joshua leading the Hebrews into the Promised Land. Joshua was inaugurated with a new song for the elect generation of the nation of Israel when he continued the covenant from Moses and led the elect into the Promised Land (see Deut. 31:22-23). We, however, away the end of 40 Jubilee Years before we enter the Promised Kingdom. Apostle John goes on to explain that the 144,000 are undefiled “virgins” who are the redeemed Firstfruits who follow Messiah everywhere. Yet we know that James and Peter, who followed the Word where He leads, counted themselves as part of the Firstfruits, and they were married. Also, it is written that the marriage bed is “undefiled.” In other words, being virgins means remaining spiritually undefiled, unlike those who worship other gods with false teachings. 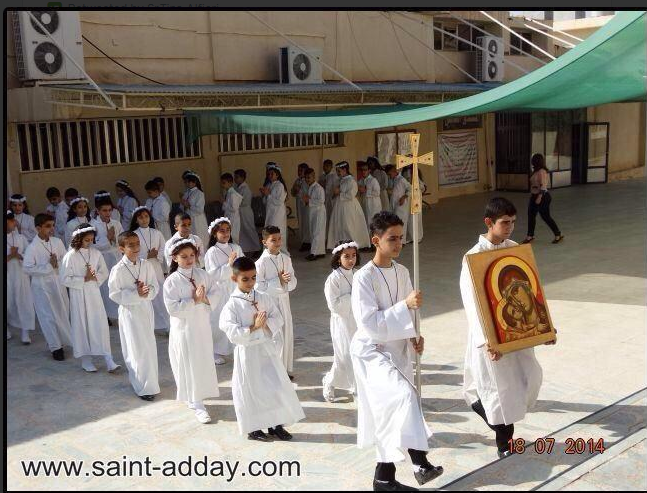 This is the purity that the Lord is most concerned with- not men and women remaining virgins in the flesh. An example of God setting aside spiritually faithful servants is perceived in the day of Elijah, when Israelites were following a false god and false prophets. God reminded Elijah that he was not alone in the truths of God- that the Lord had a specified number of spiritual virgins. The name Ba’al, meaning master and husband, and even an owner, was the original name for the Palestinian deity Allah, as explained in the last article. In fact, Baal was to many people the most prominent god throughout the region. The feminine version, or mistress, was ba’alah. 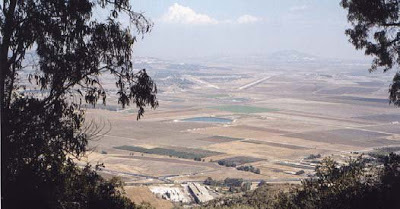 Three known towns of Palestine were thus named Ba’alah. From here, we discern the most ancient and pagan origin of Allah. Baal worship became so widespread that Israel was also carried away into worship. Although other gods were worshipped among the pagans of the land, Ba’al became a general name for gods, masters, and husbands. Eventually, Allah became a proper name once again for the regional god after Mohammad destroyed the other named allahs or masters of the region. The reason I gave the above information is because the foreshadowing of Elijah battling the false prophets of Ba’al will be fulfilled during the Apocalypse. God has His virgins who will also refuse to bow before Allah- the modern day Baal. The prophets of YHVH were killed by Jezebel when they refused to bow, but God sealed a remnant of the faithful from death. Likewise, the Lord will seal a number of spiritual virgins who will prophesy during the Apocalypse, even as Moses and Elijah battle the false prophets of Allah to finish the long war and cleanse the land of its abominations. These virgins of faithful worship will be led by Messiah and help bring in the Kingdom of Heaven. Right after John said that no falsehood was found in their mouths, he tells of the Gospel being preached to the world. This is a clear indication that the true, undefiled Gospel of the Kingdom is in need of being taught to the world, and it will be taught during the Year of Recompense. No false teachings or religious deceptions will be taught by these Firstfruits. 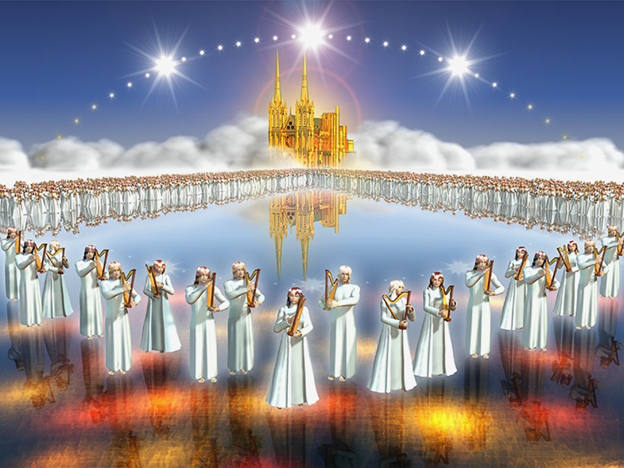 The messages of the angels, or trumpet warnings of the messengers, are preached by this chosen generation for global preparation for the coming Messiah. They will preach God as Creator, and that His time is upon us. They will preach the fall of the Babylon as the Lord’s people escape from her. They will preach that people should not get the Mark of the Beast and why. They will preach the blessings of true martyrdom and the spiritual harvest of God. Finally, they will preach the coming destruction of Israel’s enemies and awaited reign of the Messiah at Jerusalem. Lord, we understand that Your messengers will declare the appointed times and Your coming judgments, and with this they will declare that You are Creator and Designer of the universe. As Adam and Eve hid in fear of You on the first millennial day, so the world will be in fear when the year of Your recompense comes. Lord, we understand that Your messengers will proclaim the fall of all Babylonian assemblies because of her history of violence, and they will proclaim that her judgments are because of her murderous ways and fornications with the nations. Surely, my Elohim YHVH, Father of all Israel and those who hear and stay true, she has not been faithful to You. As the world fell when the sons of God fornicated and left their domains, because of their violence in the second millennial day, and the family that held true under Noah escaped, so will the world drink down their wrath and drown in the violence of their fornication, when the cup is revisited upon them. Lord, we understand that Your messengers will teach against receiving the Mark of the Beast, and they will inform the nations that Your wrath against trespassers cannot be quenched, and You will give them no Sabbath. 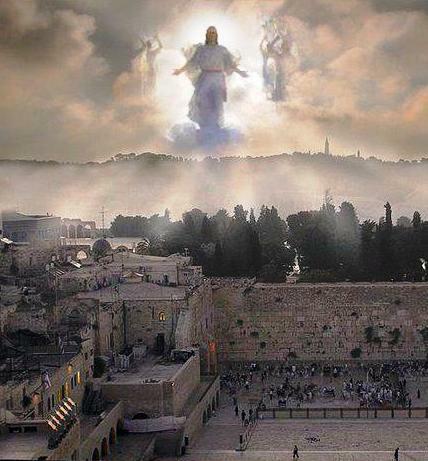 Yes, Lord, they will teach the nations that trespassers shall not pass into Your Promised Land- Your Promised Kingdom. They will teach Your people to have patience beyond tribulation, and to be true to You and Your Word. As the children of Israel were punished in the wilderness in open rebuke on the third millennial day, and the earth swallowed them up before Moses and the faithful, when the trespassers set their eyes upon their former ways in Egypt and lusted for the pagan nations set before them, so will it be unto the world. And just as You swore that they would not enter Your rest, but fall as corpses in the wilderness, so shall revolting nations not enter Your millennial paradise. And then only those who keep Your commandments and abide in faith shall not fornicate with the Beast and taste of the wrath of Your chalice. Lord, we understand that Your messengers will assure those being martyred that they will enter into Your Sabbath rest, and their works and sacrifices will be remembered and rewarded. Even as the Son was reaped unto You, Abba, verified by a cloud of witnesses on that fourth day, so will Your people, patient and persistent, be reaped for the heavens and given a golden crown of life. For in the fourth millennium of the Son of God, they looked upon the fields and saw that the Firstfruits were indeed ripe in Israel for the harvest of the Spirit, and we await the full number of those Ingathered for Your coming Kingdom. Lord, we understand that Your messengers will warn the world of the coming reaping of Your wrath. And we understand the violence that was done in the days Peter, when the Roman Beast began to rage against the martyrs, when the Roman Church began to reap what they did not sew, and You took Your harvest to await the final day. Thus, Lord, we comprehend that Your angels will issue Your final decree and declare Your coming to battle at Armageddon, when You purge the armies that will rebelliously gather against Jerusalem in the Land of the Hebrews. They will gather against Your messengers, but they shall not pass into the glorious age of Your Kingdom. And, indeed, in this sixth millennial day it sung that these are the days of Elijah to bring the Holy Spirit fire from Heaven, and the holy prophet Moses walks the world with him. And all of us preach of the Apocalypse and the year of Your wrath, from the doorway to the dedication, from the purging of the planet to people of the priesthood. Even so, let Your Great Day come. In another article, the details of the two reaping will be elaborated on. For now, know that the reaping of the 4th trumpet reveals that unsealed martyrs will also enter into the resurrection of the cross, to have part in the Great Sabbath when the Lord is revealed. They are killed and rest until the judgment. The reaping of the vine from the 6th trumpet to the last trumpet is as the vine of Sodom and Gomorrah- those gathered against the nation of the Lord. The powers of darkness are released and they begin killing one another after the 6th trumpet until the Messiah is revealed at the 7th trumpet during Battle of Armageddon, resurrecting the martyrs for the Kingdom of Heaven. The order and details of these things will become clearer when I assemble all the passages of the trumpets to better unveil the Day of the Lord. In the next article, covering the next chapter of Revelation, it will appear as if an entirely new reaping begins as “last plagues,” but is another view of the last plagues on the Day of the Lord. It shows more details from a different group’s perspective. In this article we covered the work of the 144,000 Firstfruits, sealed on the Year of the Redeemed, but in the next we will reveal the sealed among the Ingathered faithful, who will also reign with the Messiah in the Kingdom.